The term “street photography” usually evokes images of a photographer making their way through city streets, discreetly pointing their lens at passersby and disappearing into the crowd before they are noticed. Jeff McConnell takes a different approach. Photographing on the street with homemade pinhole camera that measures over two feet in length, McConnell does not blend in with his surroundings. The resulting images are blurry, black-and-white impressions of city-dwellers on the move. The aesthetic may not be conventionally “street,” but it reflects the anonymity and chaos of the city’s energy. To achieve this look, McConnell connected an old Zeiss Ikon Baby Box Tengor and a 6x7 Graflex roll film back with long pieces of black mat board. 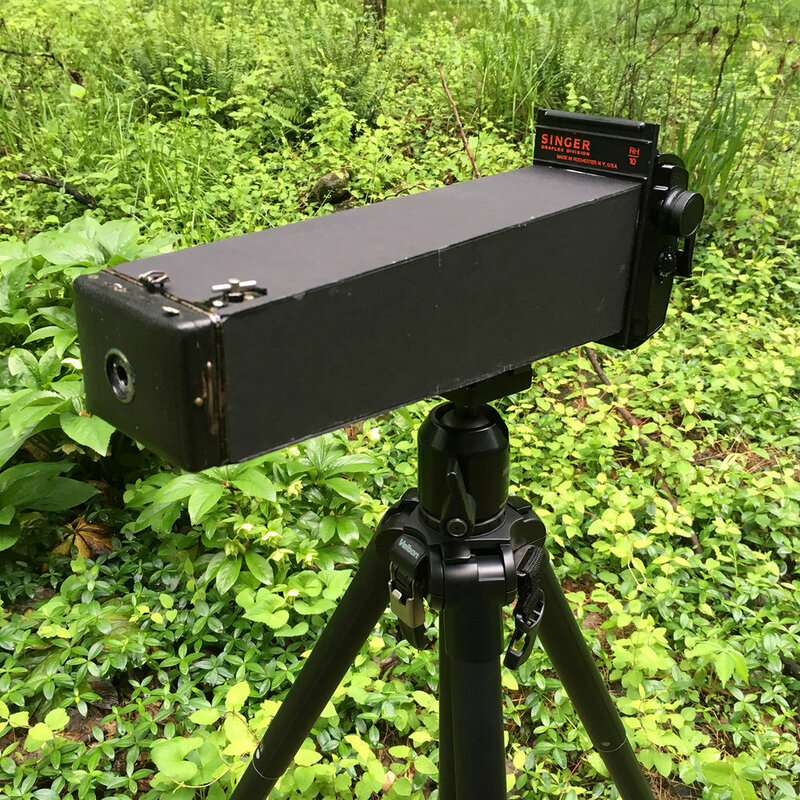 Like most pinhole cameras, it is a simple box designed around the pinhole size. The shutter can be operated with the original button, but McConnell uses a cable release for ease. He had originally planned to mount the camera to a tripod but found it too restrictive, preferring to carry it—a choice that certainly sets him apart from the other photographs stalking the streets. View more of McConnell’s work on his website.